Daredevil season 3 episode 13 sees Fisk formalizing his newfound understanding and relationship with Vanessa after she told him that she wanted to be involved in every part of Fisk’s life in the previous episode. 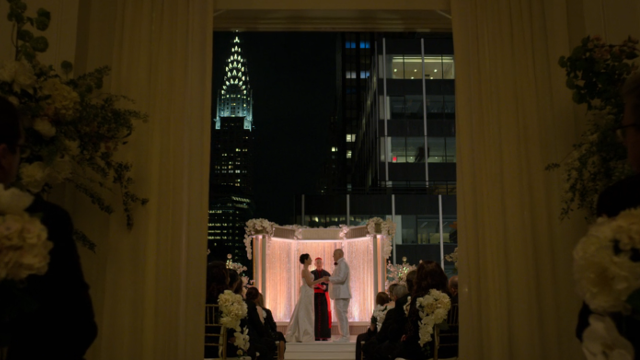 Fisk summons the most influential people in the city to his rooftop weeding to Vanessa and reception in the hotel’s ballroom. With Ray discredited, his grand jury testimony sealed, and Daredevil blamed for setting up and running a smear campaign against Fisk, everything appears to be going Fisk’s way. Dex receives a call from Matt using Felix’s cell phone. Matt tells Dex that he is coming for Dex and for his suit. Matt taunts Dex, using the information Matt learned from the therapy tape he stole from Dex’s apartment. For the final straw, Matt tells Dex that Fisk had Julie killed and directs Dex to the freezer where Dex finds the body. 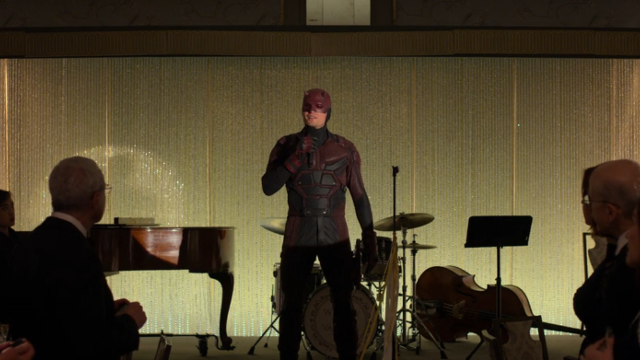 Dex goes to the hotel dressed in the Daredevil suit and crashes Fisk’s reception just as those in attendance hear Ray’s taped testimony against Fisk. Dex takes out the FBI agents protecting Fisk. 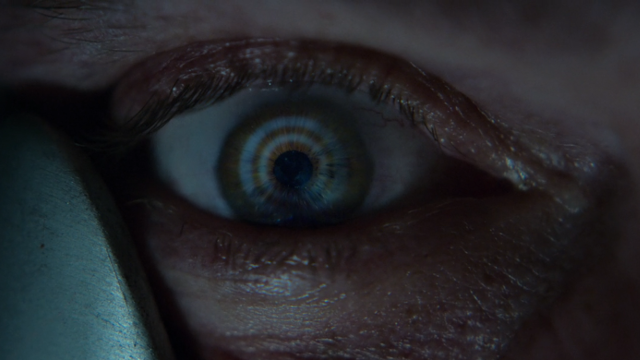 Dex’s target is Vanessa, after learning that Fisk had Julie killed. Dex, Fisk, and Matt fight throughout the hotel and Fisk’s apartment, with Fisk breaking Dex’s back. With Dex incapacitated, Matt gains the upper hand and pummels Fisk, stopping only when Vanessa pleads with Matt not to kill Fisk. Fisk taunts Matt, telling Matt that he will never stop trying to kill Karen and Foggy, nor stop trying to destroy Matt’s life. Matt delivers an ultimatum to Fisk. As long as Fisk stays away from Matt and his friends, Matt won’t tell the police that it was Vanessa who ordered Dex to kill Ray. Fisk agrees, sparing Vanessa from the allegation. Matt meets with Maggie at the church before Father Lantom’s funeral. Matt tells Maggie that Lantom’s last wish was for Matt to forgive Lantom and Maggie. Matt is working on it, stating that maybe his life turned out the way it did because it is all part of God’s plan for Matt to be the Daredevil and save innocents. Matt tells Maggie that with Lantom gone, he’ll need someone to be the north star for his own moral compass. Ray’s wife reveals Ray’s cell phone video to Foggy, which includes the testimony needed to put Fisk away. With that, Foggy is able to convince Brett to protect Fisk, even if it’s only a token show of force, in order to keep Matt from killing Fisk and to force Fisk to face justice in a court of law. Brett and his team arrive to arrest Dex, Fisk, and Vanessa and see that Dex is an imposter and not the real Daredevil. Back at Nelson Meats, Matt and Karen join Foggy at his parents’ retirement party. Foggy delivers the news to Theo that their parents are not going to be charged with a crime and that as long as Theo pays back the loan, then neither will he. Excited to have the team back together, Foggy suggests that the three of them get back into business together once again as Nelson, Murdock, and Page. 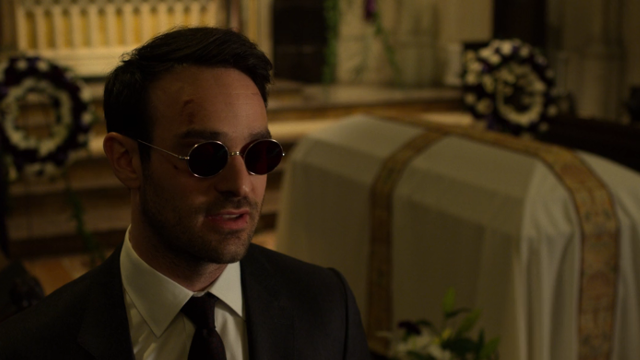 What did you think of Daredevil season 3? Let us know in the comments below!